Mixed-Media: Oil, Resin, And Wood On Canvas. True-Blue is defined by most standard dictionaries as " excessively patriotic. In the lexicon of flag language, deep blue is a color most associated with Truth and Justice. 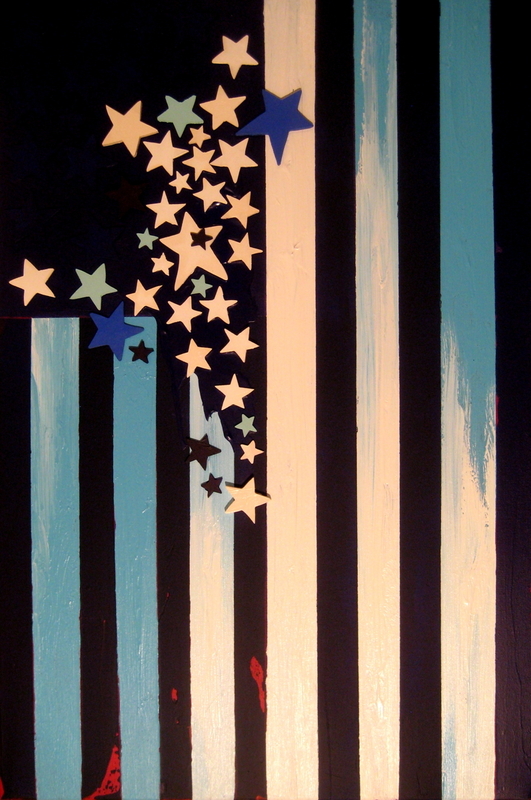 In this flag, the burst of stars show their exuberance as they cascade down the face of the 13 original colonies bars. A hint of revolutionary red appears under the skin of blue, making this Independence Day flag a True-Blue American.